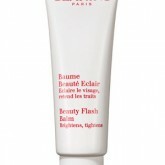 Based on eco-responsible values, Clarins offers plant-based beauty products. Thanks to the work carried out in their cosmetic laboratories, Clarins’ expertise crosses into numerous sectors. The brand’s experience is reflected in our own salon where we offer a large range of body and face care treatments. 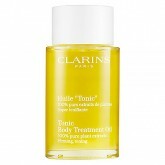 Clarins’ best selling body oil—with 100% pure plant extracts including Rosemary, Geranium and Mint—helps firm, tone and improve elasticity, smoothing the appearance of stretch marks. Hazelnut Oil locks in moisture to leave body skin soft and satiny-smooth. Aromatic natural botanicals promote an overall feeling of well-being. Especially recommended for use during pregnancy and weightloss.